Stunning blouse with a lovely pattern from PIECES. 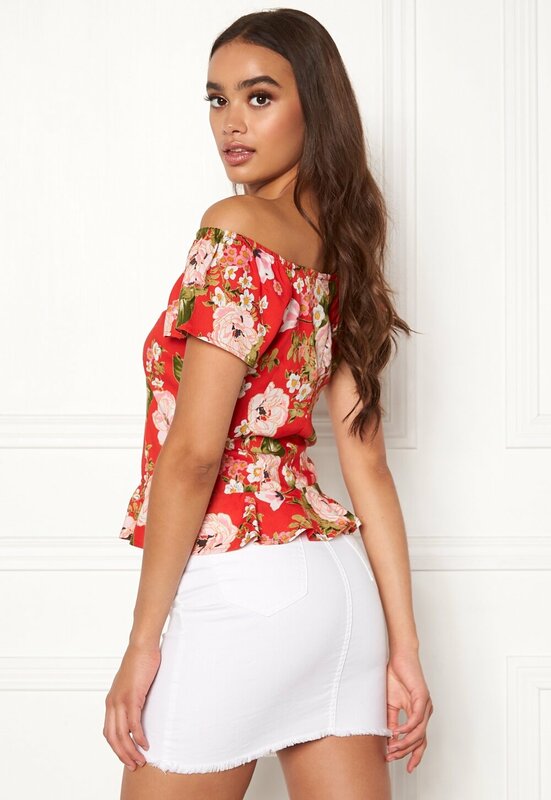 The blouse has an off-the-shoulder style and is perfect for both everyday and party wear. 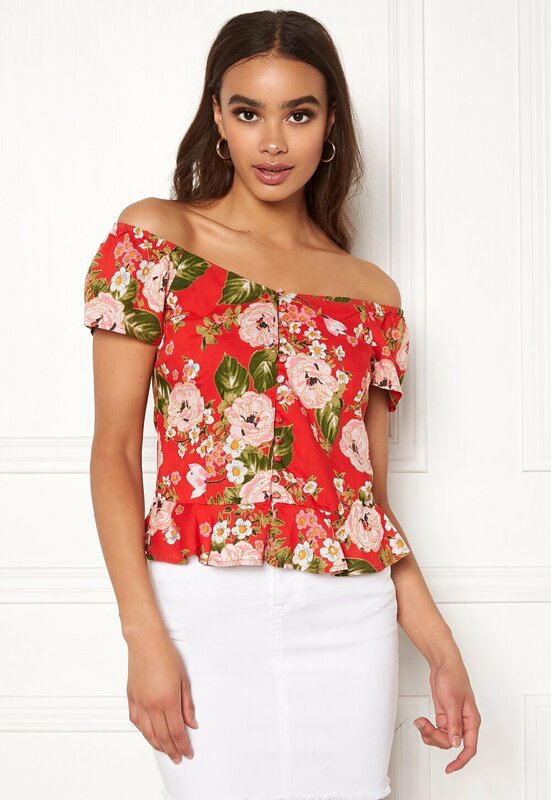 - Nonstretch, woven quality - Elasticated at sleeves - Front buttons - Shapely fit - Flounces on lower Back length from shoulder 53 cm in size S. The model is 175 cm tall and wears a size S. Machine wash at 30 degrees.